Exeter Visitor Information & Tickets: A one-stop shop for information on places to visit in Exeter, plus transport and other local facilities. 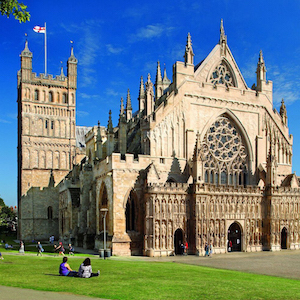 If you’re looking to make the most of your time in Exeter, this is the place to start. The Visitor Information & Tickets office will help you with info on where to visit, as well as activities and events in Exeter and the wider region – they can also provide handy details about local transport. The local experts here can even help with booking accommodation, bus/train times, tickets for events, and they stock leaflets, maps, local books and souvenirs.